A franchise gives franchisors the opportunity to leverage their business format plan using management by franchisers who have a vested effort in the success of the business, and gives business owners (franchisees) the stability of a tested business model along with the freedom to manage day-to-day operations. Keeping up with the legal requirements and business considerations of a franchise can be both intimating and confusing, so if you are considering purchasing a franchise, you need to research the details thoroughly beforehand. You should only work with a reputable franchisor that meets all of the legal requirements for opening a franchise in your area, and be sure that you’re ready for the responsibility of managing a business. To help you get started, following are franchise law basics. For more detailed information and personalized advice, you need to consult a franchise law attorney. 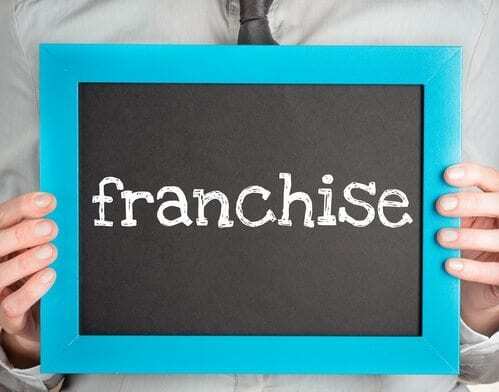 A franchise is a relationship between the franchisor of a trademarked chain who licenses its business format plan, and an individual or group franchisee who operates the actual business. This relationship could include licensing of service marks, trade names, or any other symbols that are associated with that particular franchise and a structure for business operations (marketing plan). The business owner (the franchisee) sells the company’s (the franchisor) goods or services. These goods and services are required to meet quality standards or to be presented or prepared in a specified way. The franchise relationship should benefit both parties, because (1) the franchisor can leverage its business format and operational expertise and (2) the franchisee will get to use well-known brand names, goods, services, and franchisor’s business operation plan and expertise for their business. It is important for the franchisee to realize it is only licensing the right to operate using the franchisor’s business plan, so there may be restrictions on ability to transfer the business, or on operating independently in competition with the franchise system after the franchise agreement ends or is terminated. Generally, federal laws require disclosure, and some state laws require disclosure, registration and advertising. Some states also regulate the commercial relationship between the parties. For example, pre-sale disclosure is required, and some specific sales practices are prohibited. A franchise is also required to register with those states that require registration, and it must comply with related advertising laws to sell franchises in that state. There is no federal registration. Violation of franchise laws can be financially devastating. The FTC or state agencies can impose fines, require rescission of prior franchisee sales, or prohibit future franchise sales. Usually the franchisor receives the brunt of the penalties. Also, Franchisees can sue franchisors for failure to comply with applicable laws. If you are interested in being a franchisee or a franchisor, contact Carnahan, Evans, Cantwell & Brown. We can help you explore the legal implications of becoming a franchisor or purchasing a franchise, and ensure that you comply with all applicable federal and state regulations. Call us at 417-447-4400 for more information.